Thoughts, Experiences and Reality: World of Warcraft: Wrath of the Lich King Expansion Pack will be out soon! World of Warcraft: Wrath of the Lich King Expansion Pack will be out soon! 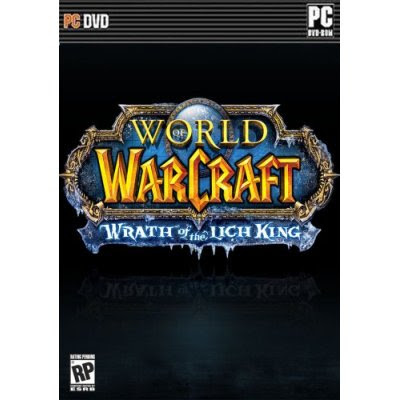 I got so excited when as I was surfing the net I learned that the expansion pack for the World of Warcraft's Wrath of the Lich King will be released on November 3 of this year. I silently told myself... don't you think you're too old to be excited with computer games? But then again, I'm still young at heart, am I not? ha ha! When I was still living with my parents, I used to love playing computer games such as Red Alert, Generals, War Craft and simple yahoo games. I spend so much time playing that my mother would always scold me because I can't help her out with the household chores. I even skip meals or sometimes ask my nieces and nephews to bring something for me to eat in my room. I was really hooked! But it passes. I eventually learned how to control myself. But now that I'm living on my own, I have lots of time in my hands and when I get tired of reading or watching movies, I turn my computer on and play games. That's why I got so excited that an expansion pack for the "Wrath of the Lich King" will soon be released. I already miss playing warcraft.